The Collection's popular "Holidays in the City" package offers guests all they may need for a spectacular winter holiday stay in New Orleans. 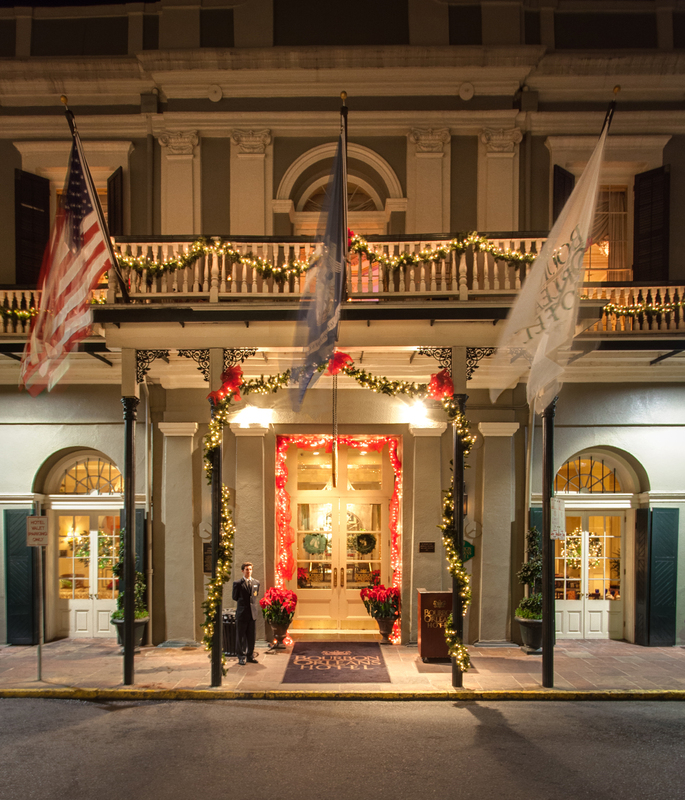 The New Orleans Hotel Collection has announced a variety of New Orleans vacation deals offered at six hotels during the winter holidays. Back by popular demand, the Collection's "Holidays in the City" package offers guests all they may need for a spectacular winter holiday stay in New Orleans. Starting as low as $129 for single or double occupancy for a weeknight stay, the package includes: complimentary valet parking, welcome drink upon arrival, breakfast buffet, wireless internet, in-room bottled artesian water and local coffee, local calls and newspaper; plus a savings book for shopping at The Outlet Collection at Riverwalk. All six hotels of the Collection also offer complimentary fitness centers. 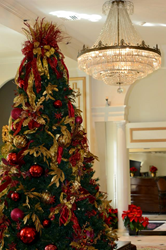 For more information about the "Holidays in the City" package or to make reservations, please visit http://www.neworleanshotelcollection.com/holidays-in-the-city. The holiday season is a wonderful time to visit New Orleans. The authentic, New Orleans inspired, comfortable and luxurious hotels of the Collection are attractively decorated and restaurants will be participating in the city's special tradition of Reveillon, a Christmas season dining extravaganza at remarkable prices. At the Bourbon Orleans Hotel, the traditional "Brunch with Santa" will be featured on December 4,10,11,17 and 18 in the historic Orleans Ballroom with seating at 10 a.m. and 1:30 p.m. each day. The popular Christmas brunch for families combines the best of a visit to the historic French Quarter, decked out in holiday decorations with the convenience of a delightful family meal, easy valet parking and church services at nearby St. Louis Cathedral if desired. During the "Brunch with Santa" event, historical characters interact with guests and offer Christmas stockings and other prizes to diners. Photographs with Santa will also be available. For reservations, please call (504) 571-4572 between 9 a.m. and 4 p.m. weekdays. The New Orleans Hotel Collection also offers a variety of other hotel packages including a culinary package, a spa package, and a special $25 per night discount on Sunday through Thursday stays. To make reservations for stays Sunday through Thursday nights with the $25 per night discount, please visit http://www.neworleanshotelcollection.com and use code BARCOUP or call 1-855-798-6642 to speak with a hotel reservations agent. The New Orleans Hotel Collection is a group of six fine hotels in the New Orleans metropolitan region owned by local investors. Comprised of the Bourbon Orleans, Dauphine Orleans, Hotel Mazarin, Whitney Hotel, Crowne Plaza Airport and Hotel Le Marais, these are boutique and small upscale meeting hotels in prime locations throughout the city. For more information, visit the New Orleans Hotel Collection website at: http://www.neworleanshotelcollection.com/.